Of course, we are kid-friendly! We’re excited! Pinky and pals latest adventure is here. Pinky Chenille and the Rainbow Hunters is a charming picture book with engaging, whimsical art and playful rhyming verse by Sharon Sayler and illustrated by Olivia Cole. Join Pinky Chenille and pals as they share positive messages of diversity, getting along, teamwork and persistence that will inspire your little ones. The gift set is $19.99 and you will receive a signed 8.5″ x 8.5″ hardcover book and a CD with twin audio readings in MP3 format made to last even the most exuberant of little ones to read over and over again. The book is also available in digital Kindle version and twin audio readings in MP3 format on CD and Ipad video formats. Free printable Pinky adventures coloring pages for children that you can print out and color. Coloring pages are beneficial to a child’s development as they allow for playful self-expression. Pinky’s Printable Activities encourage children to continue their learning through special puzzles, mazes, color and picture matching, and more… our worksheets address age 3-6 skills in a variety of ways. Pinky’s After Reading Guide to Conversation and Crafts gives deeper learning through sharing young readers’ own experiences of getting along, working together, friendship, persistence, and teamwork. 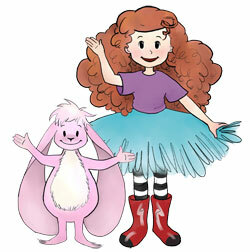 Have YOU read Pinky Chenille? Get great crafts ideas, coloring pages, conversation starters and other activities to go along with Pinky Chenille and the Rainbow Hunters all at no charge. Perfect for fun time, playtime, and thematic teaching units involving colors, color mixing, weather, teamwork, getting along, friendship, and rhymes. Spam makes Pinky sad! We never share your email.